The Mt. Hood Community College women's basketball team scored a 71-48 win at Linn-Benton on Saturday. 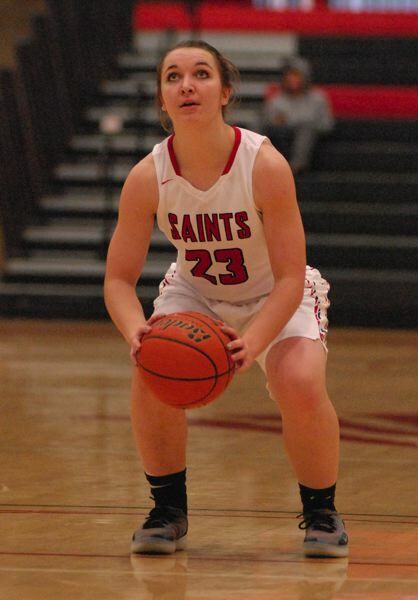 The Saints had the game put away 36-16 by halftime with a 20-point second quarter that saw 3-pointers by Hunter Boske, Atalina Pritchard and Courtney Jackson, who would finish with a game-high 16 points. On the defensive end, center Rachel Watson blocked four shots, and Gresham High graduate Madison Allen made three steals. 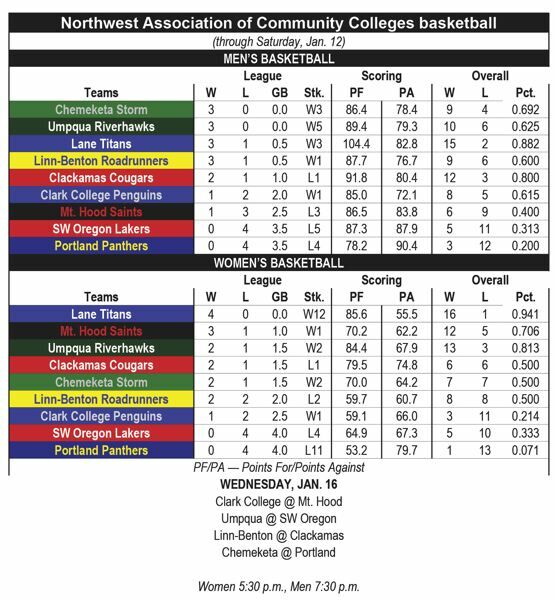 The Saints (12-5) sit in second place in the South heading into Wednesday's 5:30 p.m. home doubleheader against Clark College. The Mt. Hood men's team dropped an 86-75 decision at Linn-Benton, led by Devin McShane with 19 points. After falling behind by as many as 14 points, the Saints pulled to within five on a McShane 3 midway through the second half. Kyler Haynes converted a layup to keep Mt. Hood within striking distance with 8:43 to play, but the Roadrunners put the game away with an 8-1 spurt. Carter Arrasmith added 12 points off the bench.